Morro Bay Mayor Jamie Irons removed himself from a vote on housing regulations last week to avoid a financial conflict of interest. However, Irons then lobbied the council both orally and in writing to vote in a manner that would benefit him financially. Following Irons’ lobbying efforts, the remaining council members voted 3-1 to halt a vacation rental ban that Irons opposed. The sequence prompted a Morro Bay citizen to submit a complaint to the Fair Political Practices Commission alleging Irons breached state conflict of interest laws. California laws on conflicts of interest can be confusing. For example, while the law allows a public official who has a financial interest in an item to speak during public comment after he recuses himself, the law also prohibits the official from using his position to influence the government decision. In a complaint to the California Fair Political Practices Commission, Morro Bay resident Linda Stedjee says Irons used his position to influence the council decision on the vacation rental ban. Irons told CalCoastNews he did not do that, and that he was speaking based on personal experience, not personal interest. Last week, the Morro Bay council voted on changes to regulations for secondary dwelling units and guest houses. 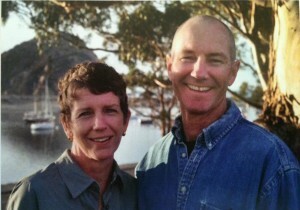 Irons and his wife, Monica Irons, the human resources director for the city of San Luis Obispo, own multiple properties in Morro Bay. One property they own has a secondary dwelling unit, and they have submitted plans, as well, to construct a guest house. Irons recused himself from last week’s vote because of the secondary unit and the guest house plan, he said. The proposed ordinance would have banned property owners from using secondary dwelling units as vacation rentals. City staff initially argued it was necessary to enact the vacation rental ban so secondary dwelling units would remain options for affordable long-term rental housing. Nevertheless, on March 21, the day before the council meeting, Morro Bay Community Development Director Scot Graham changed direction and sent a memo to the city council recommending the vacation rental ban be stricken from the the secondary dwelling unit ordinance. At the council meeting, Morro Bay planner Whitney McIlvaine said staff decided to strike the vacation rental ban in response to comments and questions received by the city. The council correspondence packet for the March 22 meeting only contained two letters about the vacation rental ban. One of the letters came from Jamie and Monica Irons. The mayor and his wife submitted the letter the morning after Morro Bay staff recommended eliminating the vacation rental ban. Irons said his input did not affect planning staff’s decision. However, sources had previously told CalCoastNews Irons would frequently meet with city planning and management staff in attempts to influence decisions that pertain to his property holdings. Stedjee’s FPPC complaint questions whether Irons lobbied the city on the vacation rental ban prior to submitting the letter and speaking at the council meeting. Irons disagrees. He said he recused himself out of an abundance of caution and his comments to the council were not focused on the vacation rental ban. In his letter to the council, Irons included eight directions on how the city should construct the ordinance. Number three included Irons’ views on vacation rentals. The council voted to pass the ordinance without a vacation rental ban. The ordinance will return to the council for final approval on April 12.
tip of the iceberg for this crew of irons, christine johnson and smuckler. more to come, stay tuned! Here is some further information that another resident called to my attention recently. Morro Bay changed its second unit policy a while back due to State mandate. The specific state law is California code 65852.2, which became effective in 2003. The law resulted from the passage of Assembly Bill 1866. Some of you may recall the Council discussions on the subject at that time. Hmmmm – there doesn’t seem to be anything in there about making it possible for a few well-heeled property owners to make second units vacation rentals so they can make more money…. Typical Irons move to try and circumvent the law. Haven’t visited this site in a year or so, nothing has changed, still the same group…some who can articulate their position(s) very well, others who resort to sixth grade name calling. It would be interesting to see how many would post here if the use of a real name was required. The Political Reform Act states “The people find and declare …a) State and local government should serve the needs and respond to the wishes of all citizens equally,without regard to their wealth; b) Public officials, whether elected or appointed, should perform their duties in an impartial manner, free from bias caused by their own financial interests or the financial interests of persons who have supported them…. ”Under the Act, a public official will have a statutory conflict of interest with regard to a particular government decision if it is foreseeable that the outcome of the decision will have a financial impact on the official’s personal finances or other financial interests”. Mayor King Irons violated the law by attempting to influence staff and his fellow Council members to change the law so that he can rent out his secondary dwelling units to vacationers for more money. It is the exact situation the law is trying to prevent from happening. Pretty straightforward that he violated the law. Cant wait for your response Jack and also explain how your non retail use is allowed on the Embarcadero. Did I mention anything in my post about the “issue”? Non-retail? Have you visited the museum? We also have a retail gift shop, that’s what supports the museum. 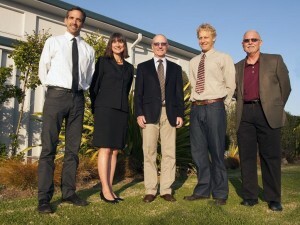 We have a City of Morro Bay business license and State of California Resale Permit. We pay sales tax on every item we sale. I’m not sure why I bother to respond to someone who want use his/her real name. Stop by the museum and let’s talk face to face, or meet for coffee, my treat. I’m not sure why I bother to respond to someone who won’t use his/her real name. Jack, although I mostly agree with the opinions MBwaiter usually posts, I have to agree with you that this one of yours is non-inflammatory to say the least, just an accurate observation on your part. Perhaps MBW is celebrating National Beer Day a bit too heavily today and read into items regarding your post that weren’t really there. Maybe I should use the initials MGD to refer to him/her today. As for anonymity, some of us need that to avoid any backlash in the real world (which the internet is not). Also, if you’ve been posting for a long time and paying attention, you know who these people are anyway. Yes, you now claim that you sell retail items because when your application was approved it was only for a skateboard museum which violated GP and zoning laws. Josh, follow this trail and you once again find that it leads to Irons along other interesting connections. Sorry if I don’t use my name or stop by your business as I do not want you to run to Irons who in turn would retaliate against me and before I knew it, I would be fired. Yes Redsoxman you are correct that I am celebrating National Beer Day and go ahead and call me MGD as long as I can call you Imperial. However, you also know of the special privileges that have been granted to Mr. Smith. Please share the “special privileges” I have been granted, and who granted them. When I applied for my business license I of course had to state what type of business I would be operating, which was displaying old skateboards and selling skateboards and other skateboard related merchandise. The name of the business is Morro Bay Skateboard Museum. We have sold retail items since day one at the museum. Your comment “Josh, follow this trail and you once again find that it leads to Irons along other interesting connections.” is ridiculous. I do believe Bill Yates was Mayor at the time I opened my business. Andrea Lueker was city manager and Rob Schultz was city attorney. I’m sorry you don’t feel comfortable enough to stop by for a visit, I’m guessing that we know each other. Nowhere Man can you see Morro Bay at all?